With more than 100 classes per week, explore our group fitness timetable. Keep active on campus. Open 7 days a week to students, staff and the community. Already a member? Book classes and courts. Log in. Become a member Take the first step today. Why join us?. Join a running group, work out in the gym or unwind at a yoga class ‒ whatever your interests, we've got you covered. 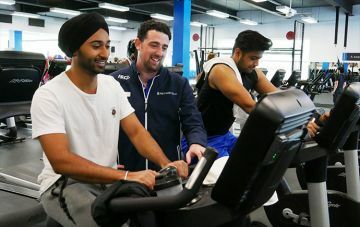 Our health and fitness centres are located on the Caulfield, Clayton and Peninsula campuses. Whether you're a competitive swimmer or treading water for the first time, our pools are perfect for lap and recreational swimming. Go at your own pace or learn from an AUSTSWIM qualified instructor. Hit the court for some friendly competition. Get your mates and colleagues together or let us help you find a team. 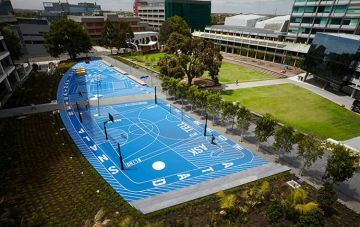 Choose from indoor basketball, netball and soccer - played weekly during semester. Looking for an energetic workout? Body Attack is a sports-inspired cardio workout that combines simple high-intensity aerobics with strength and stabilisation exercises. Reap the benefits next Thursday, 1.05pm at Clayton Campus. 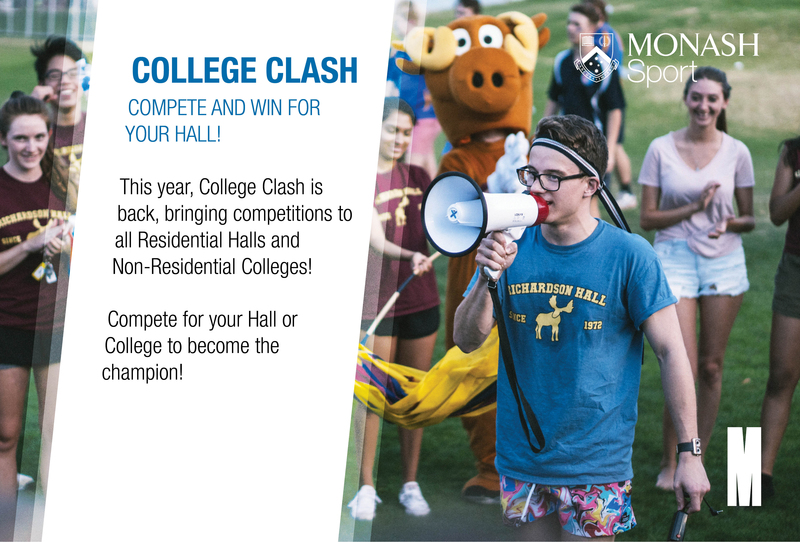 Join us back at Monash Sport tomorrow and take the opportunity to participate in group fitness classes, health and fitness sessions and even take advantage of our Doug Ellis Swimming Pool, sauna and steam room! Exercise demonstration: Sandbell Pull-Through A progression from Planking/Bracing this exercise has an added stability component with the addition of a one-armed hold as well as rotation with the pull through. This exercise conditions and strengthens the core and glutes whilst also supporting proper posture and improved balance. Please speak to one of our friendly Health and Fitness Instructors in our Fitness Centres for further guidance. Exercise demonstration: Bosu Abdominal Crunch A great exercise for developing strength in the abdominal region, lower back and obliques. The unstable nature of the Bosu can result in greater core activation than other floor-based abdominal exercises. This exercise is most effective when performed in a slow controlled manner at all times and avoid bouncing on the Bosu. Please speak to one of our friendly Health and Fitness Instructors in our Fitness Centres for further guidance. Monthly Personal Challenge - V Squat Endurance. Available at our Clayton Fitness Centre throughout April. Please speak to one of our friendly Health and Fitness Instructors in our Fitness Centres for more information. Exercise demonstration: Seated Calf Raise This is a great exercise for developing strength and size in the calf muscles and can also assist in improving range of motion through then lowering of the heel which may assist in other exercises such as the squat. Ensure you avoid bouncing and the bottom of the movement as this can put pressure on the Achilles tendon. Please speak to one of our friendly Health and Fitness Instructors in our Fitness Centres for further guidance.